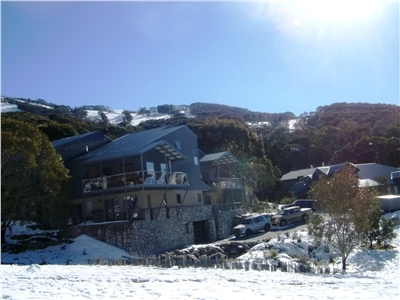 Accommodation at Snowbound Management Thredbo offers a range of 1 bedroom & loft - 4 bedroom properties. Accommodating up to 8 people during summer and winter. Snowbound Management Thredbo can offer everything for families and sheer luxury for couples for their ski or summer holiday. Featuring the finest inclusions including security parking, gourmet kitchens, bathrooms with spa, laundry and balconies with BBQ's. The chalets are located on Crackenback Ridge directly alongside the 9th hole on Thredbo Golf Course, a few minutes walk to Thredbo Valley terminal and the Crackenback Chairlift. At the end of the day it is a short stroll from the Crackenback Supertrail downhill to Snowbound Chalets. Visit Thredbo at all times during the year, our onsite managers are there to assist you in making your holiday one that you will want to return to again and again. During summer Thredbo has the Legends of Blues and Jazz Festivals.